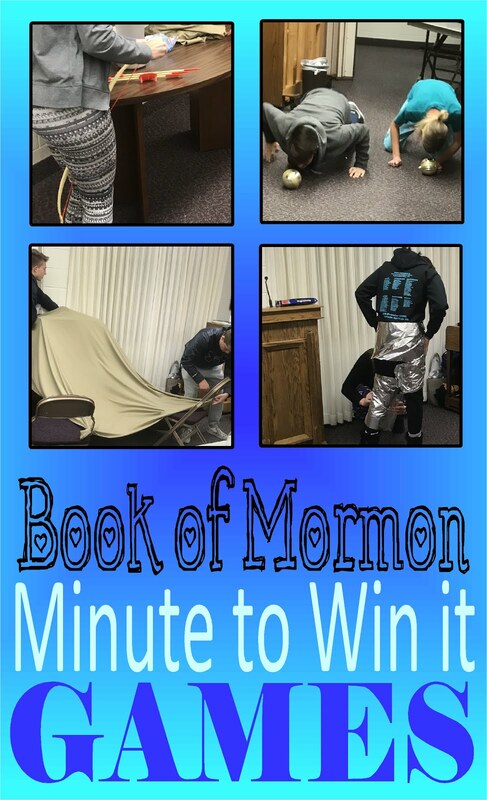 I have a new Minute To Win It game. It's a New Testament version. Just click on the picture to check it out. 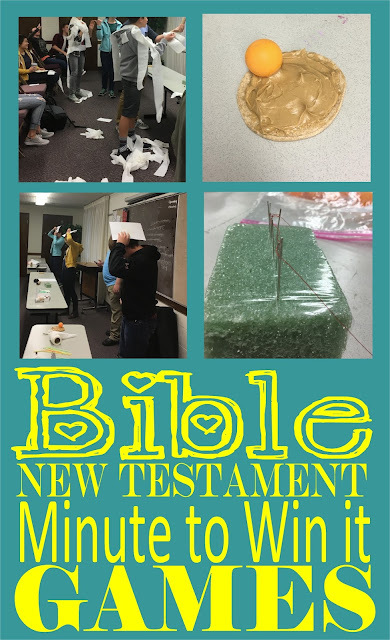 In Seminary this year we are studying the Old Testament. 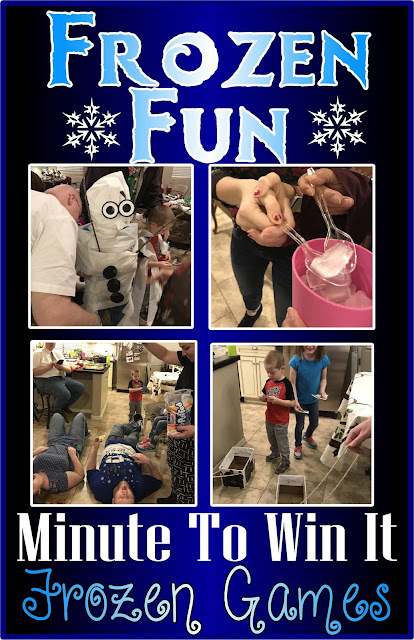 For our Christmas party I thought that it would be fun to have a review of the year so far with Minute to Win it games. Here is what I came up with. 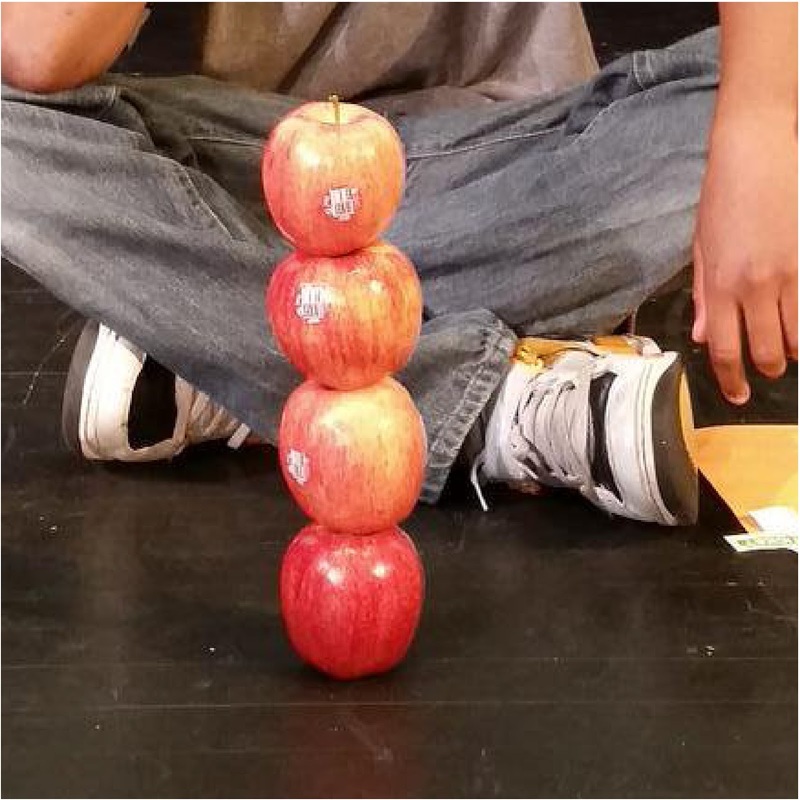 I gave each team 5 apples and had them do their best to stack them. The team who had the most apples stacked at one minute won. You could also have a person from each team eat an apple and the person who eats most of the apple wins. 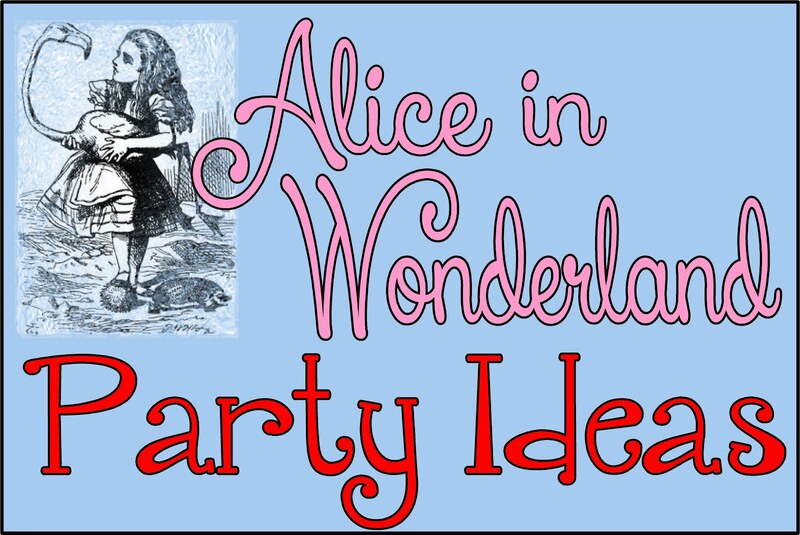 For this one you will need 2 jars and a bunch of plastic animals. I taped a picture of Noah's Ark to the outside. Each person puts the jar by their feet. While standing straight each person tries to drop an animal into the jar from their nose. The teams that has the most animals is the jar at one minute wins. Each team is given a stack of cups. The team who has the tallest tower at one minute wins. 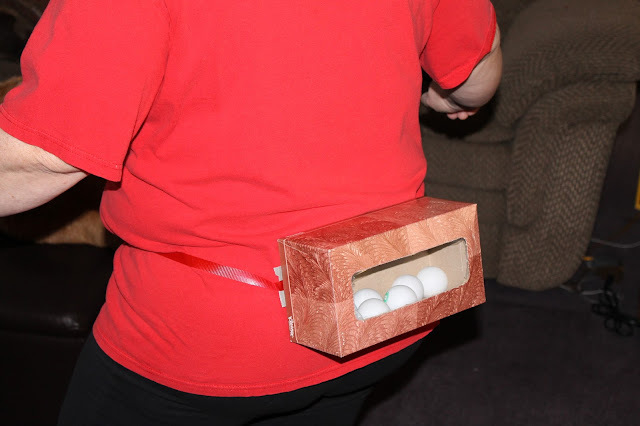 For this one you will need 2 empty tissue boxes, 2 belts and 16 ping pong balls. Put slits on the two sides of the tissue box to slip the belt through. Fill each tissue box with 8 ping pong balls. Each person playing ties the belt around his waist with the box in the back. They both have one minute to dance around until all of the ping pong balls (seeds) have been bounced out of the tissue box. For this you will need 2 straws, 40 marshmallows, and two plates. Each person will have one minutes to get 20 marshmallows (sheep) into the plate (the pen) with the straw. 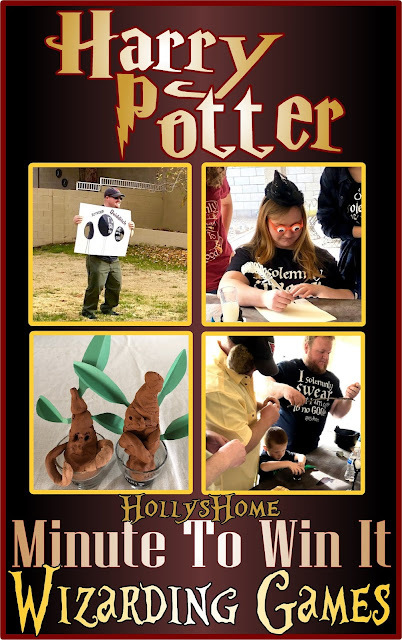 For this challenge you will need 10 3"x 14" pieces of poster board and about 40 cups. Give each player 5 pieces of poster board and a stack of cups. Each player builds a ladder with the poster board for rungs. The team with the tallest ladder wins. 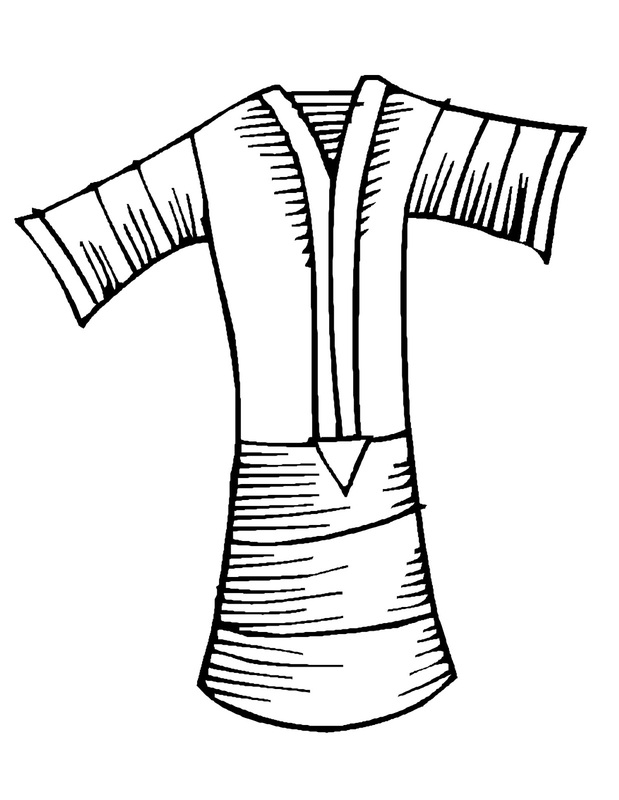 Each team gets a copy of Joseph's coat to color. They have one minute to color it on their head. 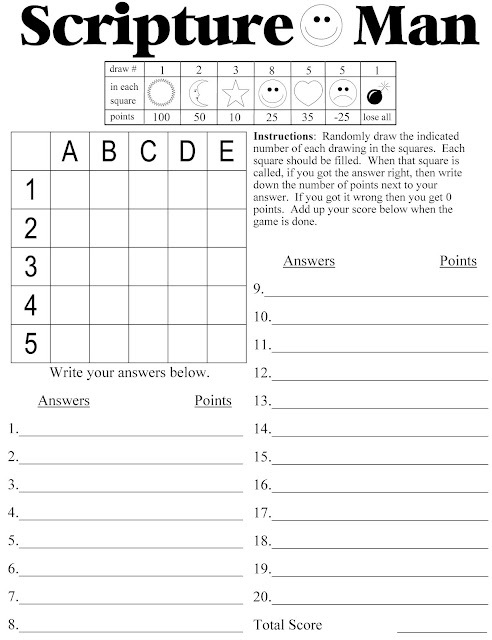 Each player must use at least five colors. 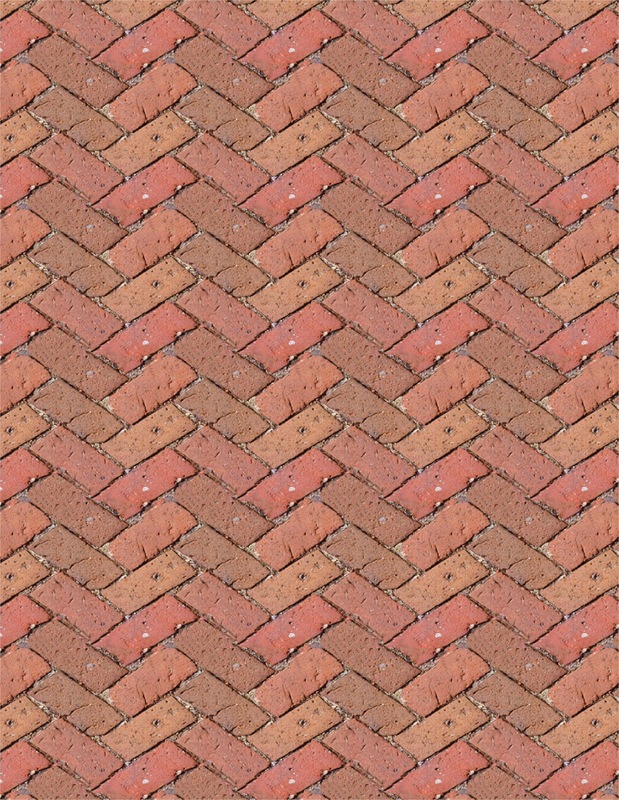 The team is allowed to give advice on how to color in the lines. The team that does the best job wins. This one I did not end up doing. Here's how it could be done. You will need 20 old Bibles. 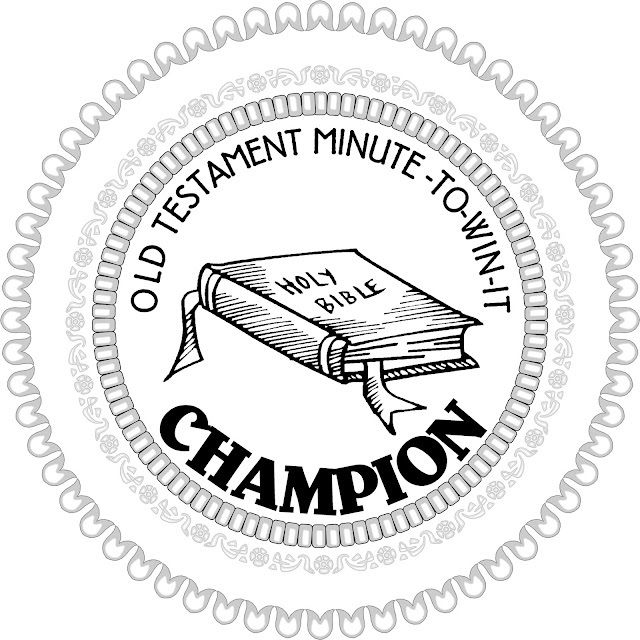 Each team will have one member help another team member stack 5 Bibles in each hand. Then they will have to walk across the room with all 10 Bibles without dropping them. The team that gets all 10 Bibles across the room first wins. This challenge is in reference to Deuteronomy 33:17. Give each team a bag of Honeycomb cereal. 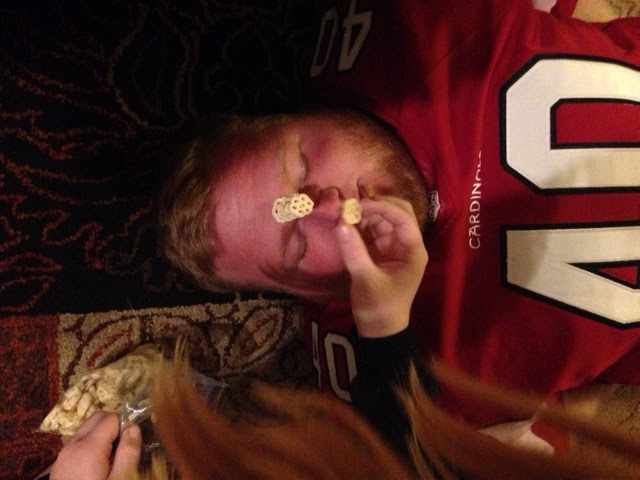 Each team will have one member lie down on the ground while another team member stacks the honeycomb cereal, one on top of the other, to look like a unicorn horn. The team that has the tallest horn wins (without cheating). 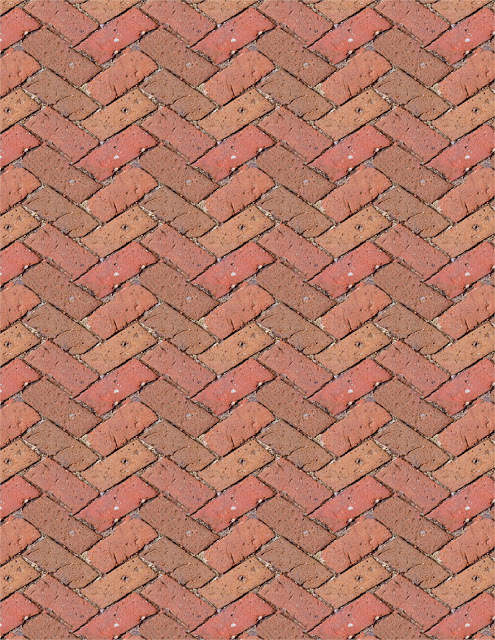 For this challenge you will need to print out two pictures of the brick wall below onto cardstock. Fold the cardstock in half like a card. Place the cards at one end of the table. 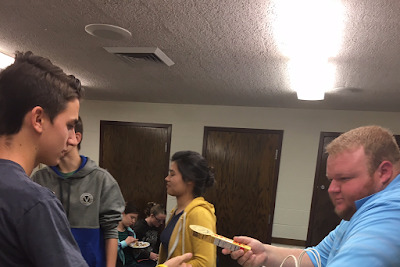 Both teams have a member blow the card across the table and then try to get the card to hang off the edge without falling off. If the card falls off then they have to start all over. 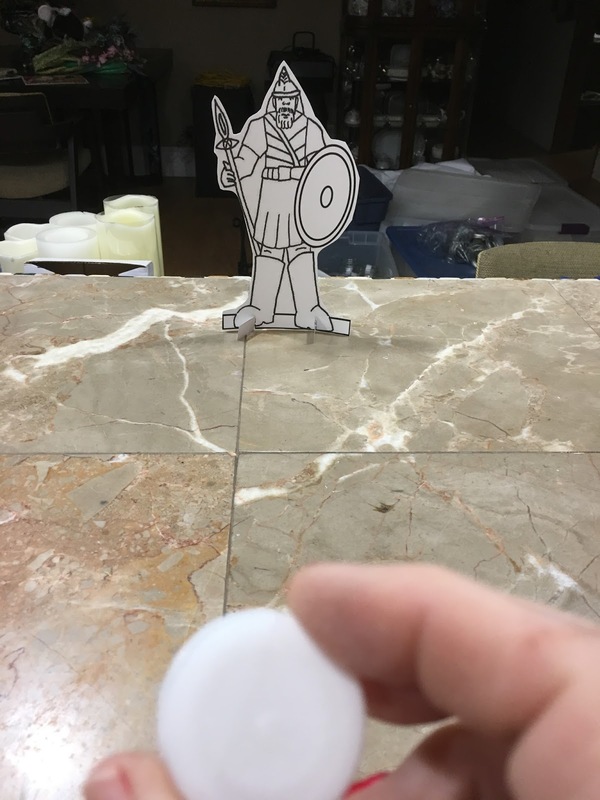 Bounce a ping pong ball at least twice to knock over Goliath. The first person to do it in under a minute wins. 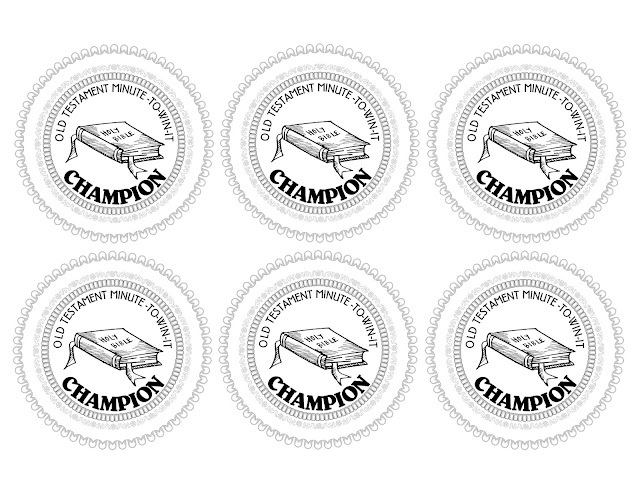 Here's a printout for you to use. 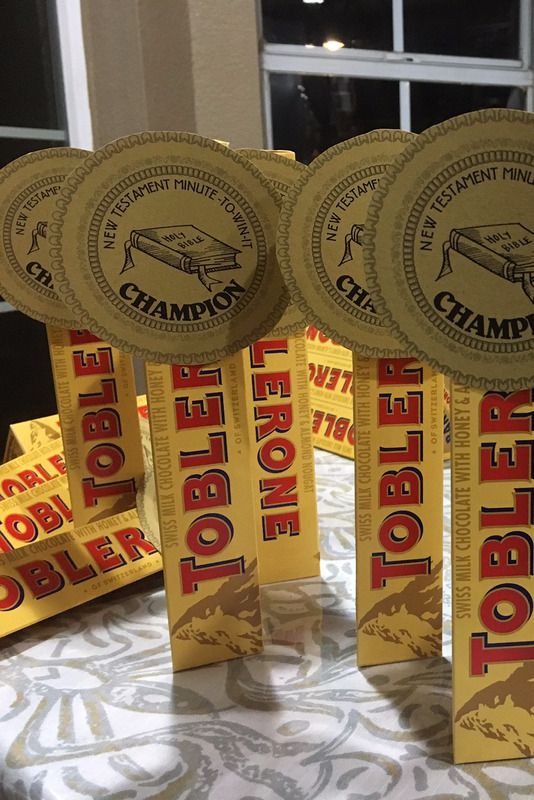 For the Champions I made these trophies out of Toblerone. Just print out the picture below. Cut it out and glue it to the top of a Toblerone. 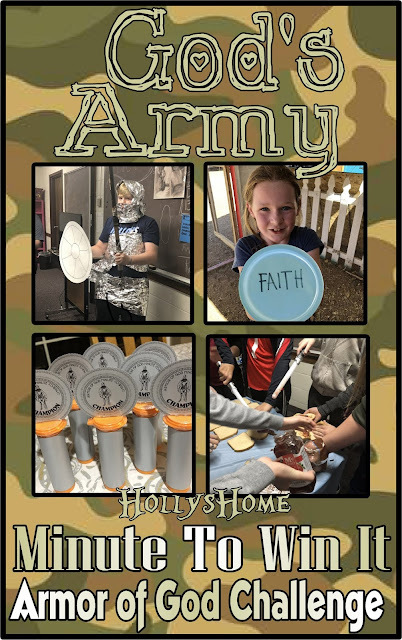 The students loved it. This is all the further we have studied this year. 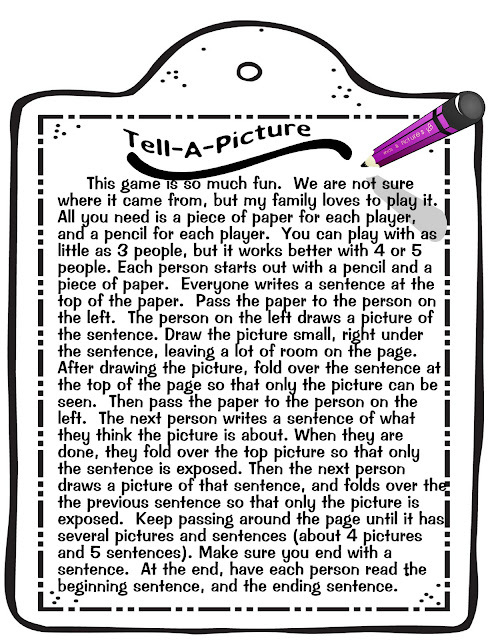 If we come up with more games I will be sure to post them on here. 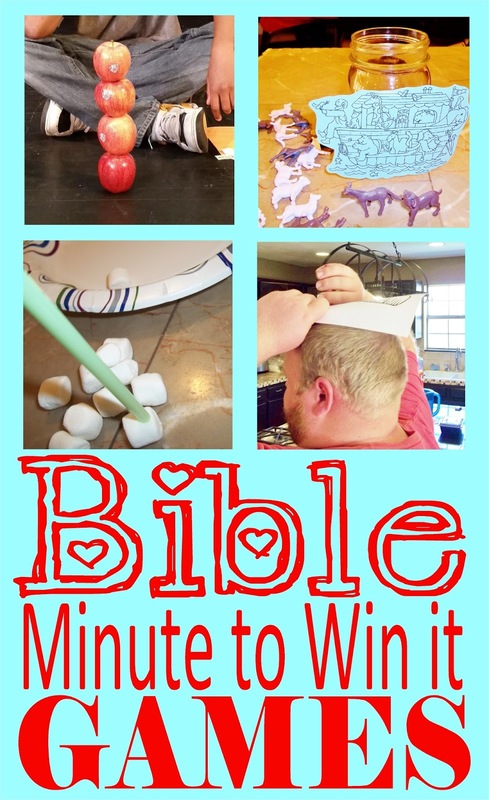 Check out my other New Testament Minute to Win it game. Here's another fun game to play with scriptures. These are great!!!! Thanks for sharing. 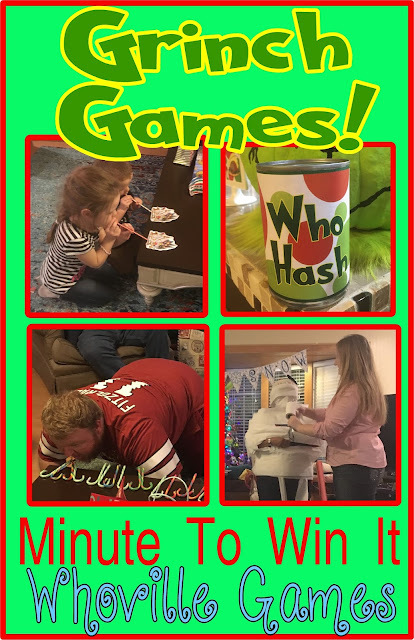 Great, inexpensive games for a retreat that I'm planning! this is awesome!!! so creative!! 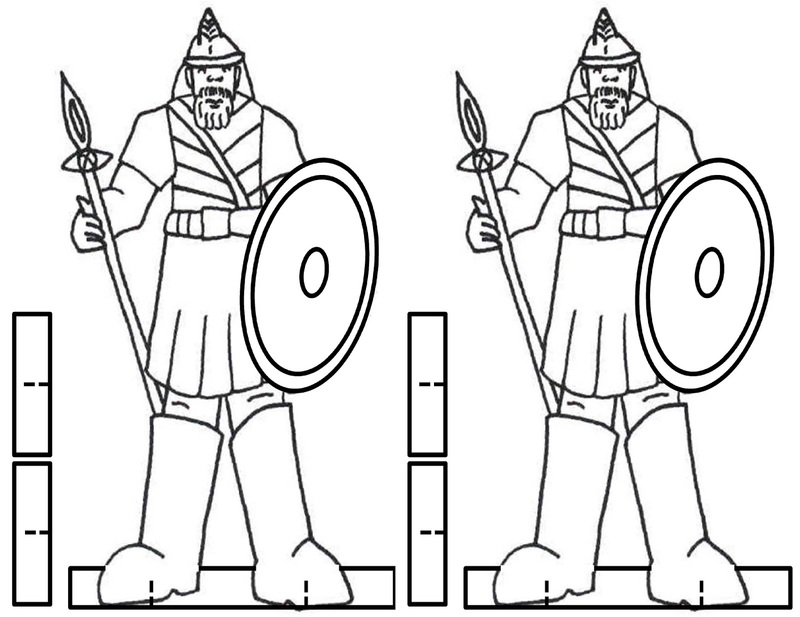 I'm having trouble getting the Goliath printout. Does anyone have a tip? Thanks! Did you try saving it into your pictures? You can also copy and paste it.